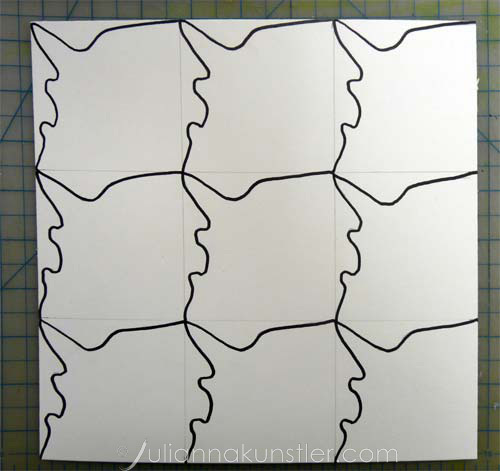 Create a pattern design based on a tessellation. 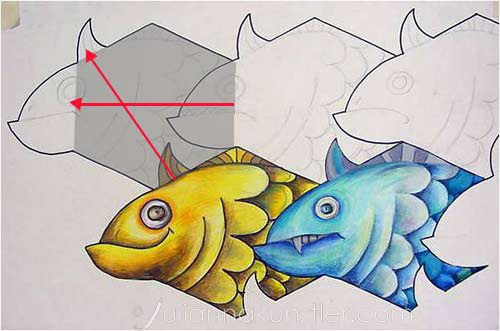 Start with creating a tessellation shape using the "translation pattern" (see the steps below). 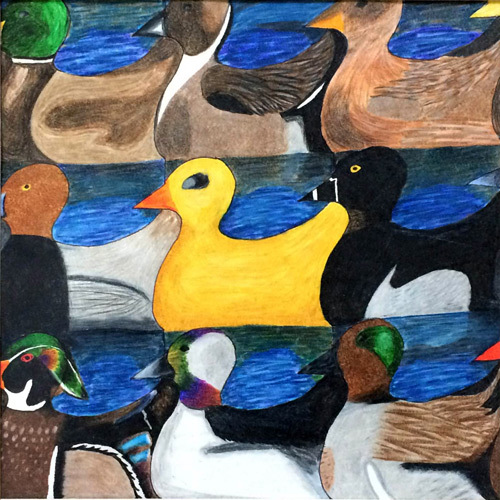 Your tessellation should be a recognizable (not abstract) object - animals, birds, insects, fish, etc. 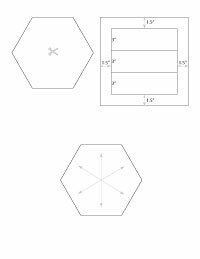 Pick a starting shape - square or hexagon. 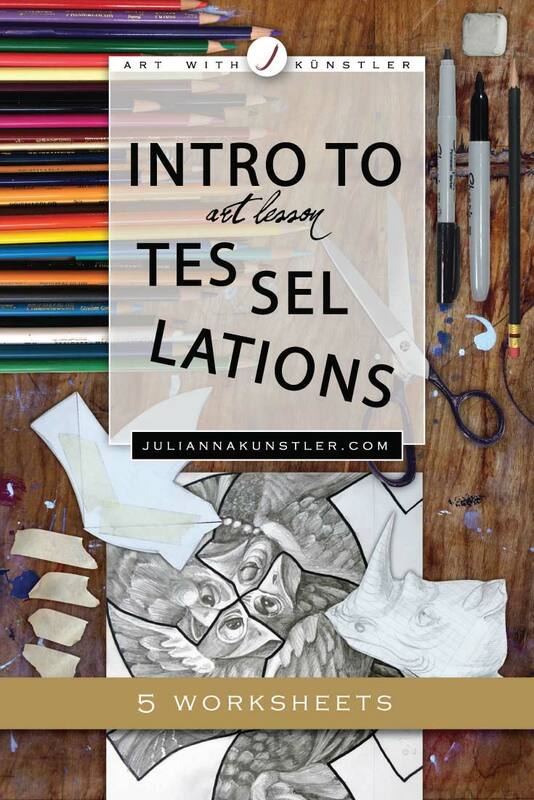 Use your handout to plan and practice your tessellation. 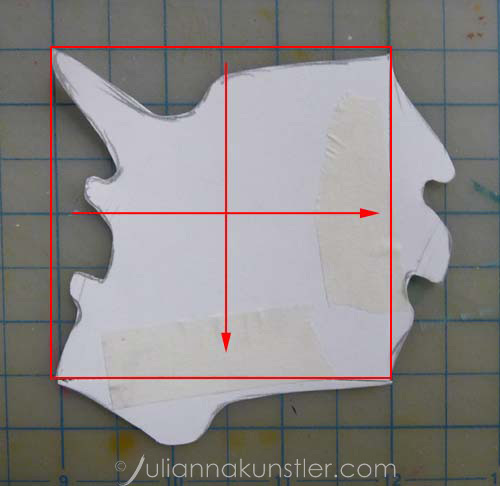 Cut the base shape out of your handout. 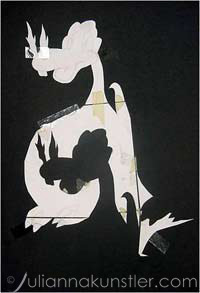 Draw and cut out details. 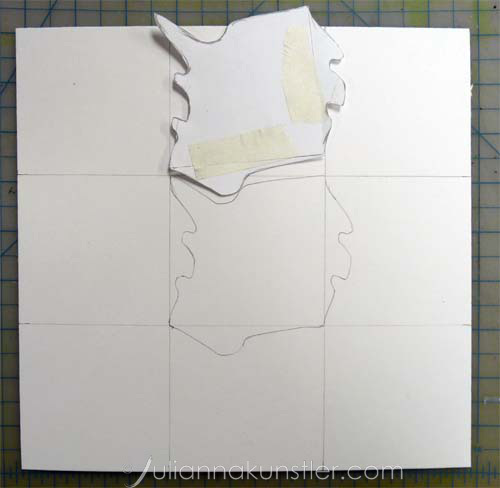 Use masking tape to attach the pieces. 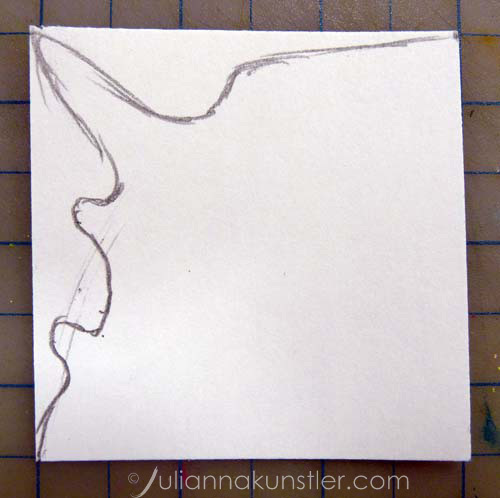 You are going to work on a 12"x12" paper. 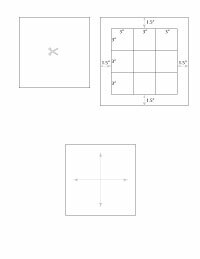 Then draw a grid - as it shows in your handout. 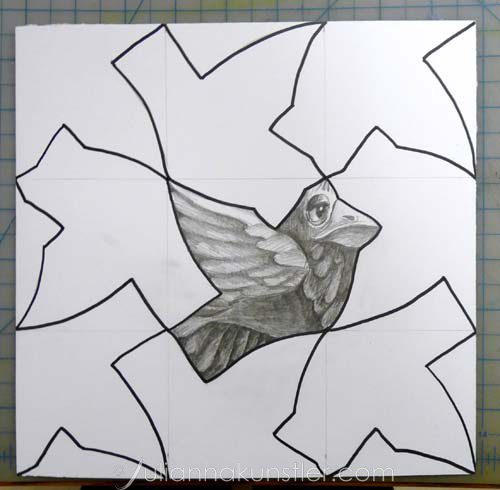 Trace your tessellation onto a drawing paper. 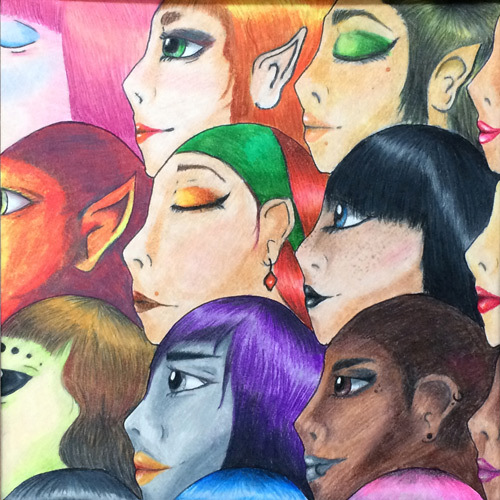 Each shape should be different inside - use different color schemes, designs, details, etc. 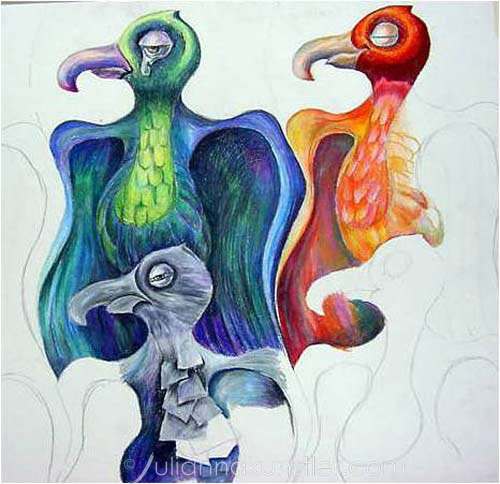 Apply the coloring technique that would incorporate different shades of a color, color gradations, blending the colors. 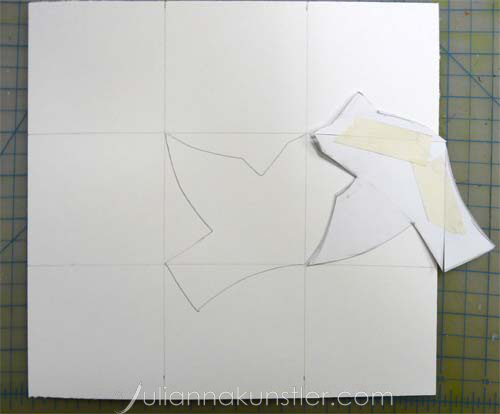 There are few patterns that you can follow to construct a tessellation. 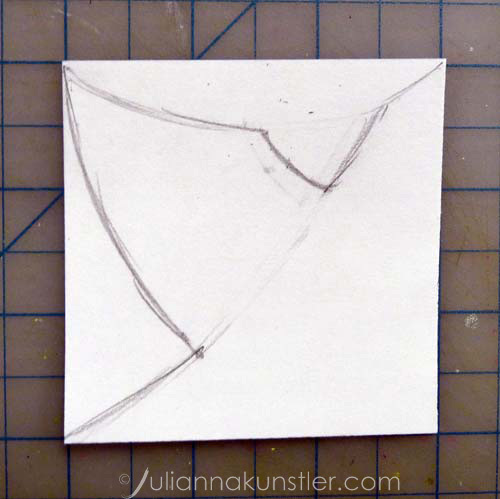 After you sketched the shape - cut out the pieces. 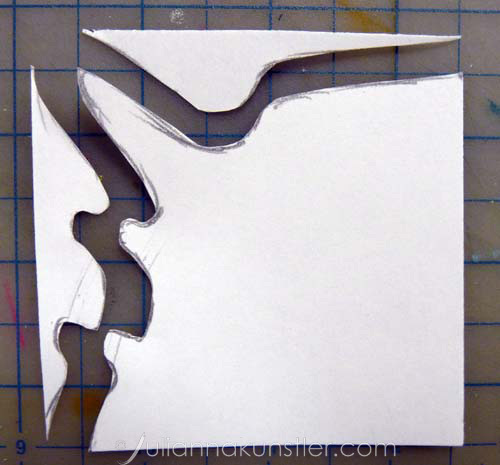 Do not ever throw away any cutouts! They should be attached to the opposite sides. Slide down the top piece and tape it to the bottom side of the square. 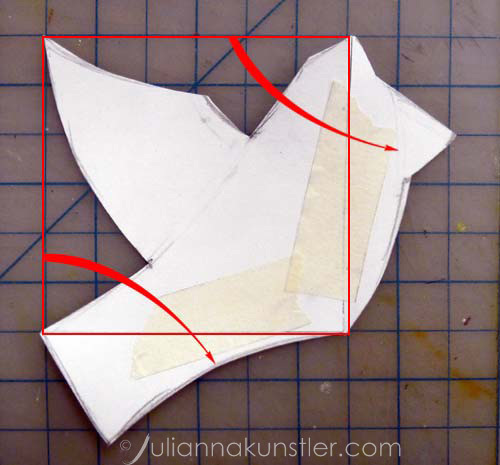 Slide the left cutout to the right side of the square and tape it. 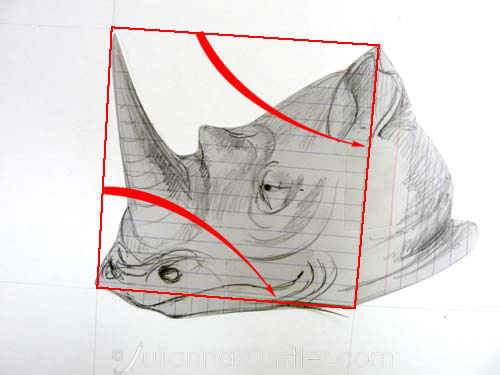 Outline the contour of the tessellation s with a thin marker. 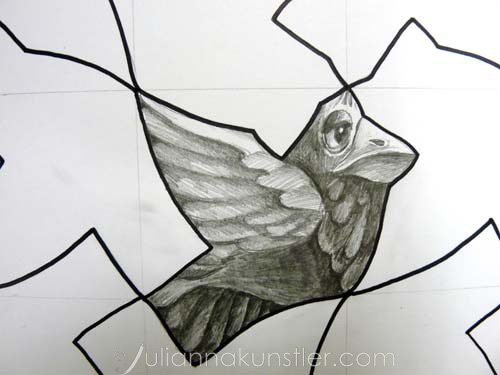 The bird shape was based on a square. 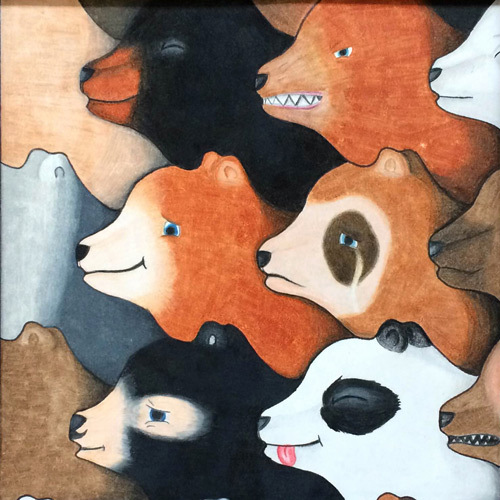 This tessellation was based on a hexagon. 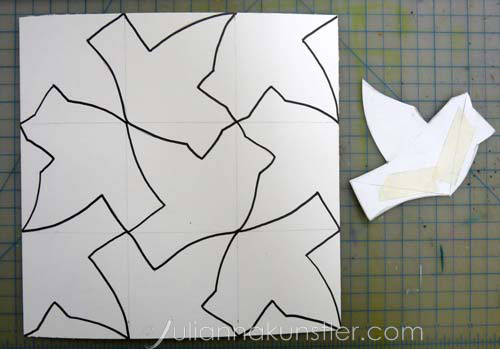 This is an example of a more complex tessellation pattern - "rotation" template. Instead of sliding a cutout to an opposite side - you rotate it. 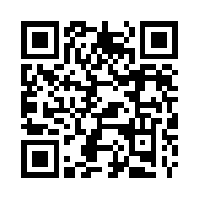 Ask me for more details if you choose this pattern for your artwork. 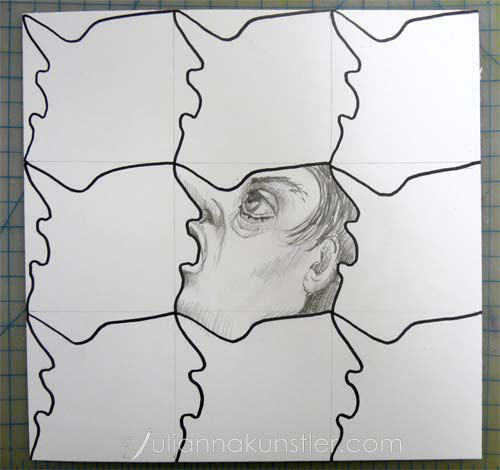 Trace your tessellation onto a board. 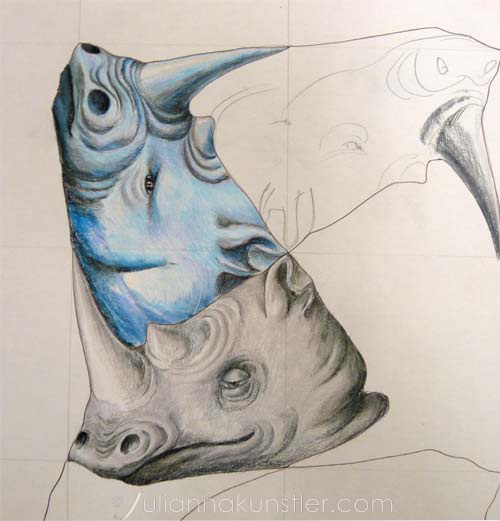 Add details to each tessellation. 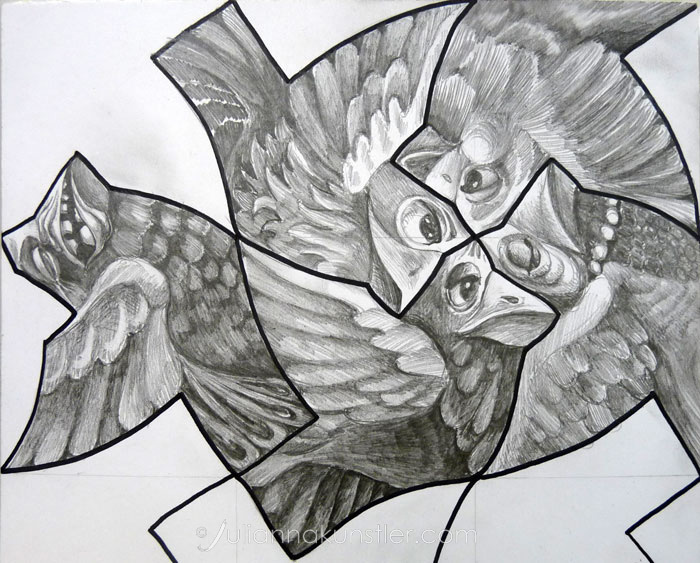 Try to think of your own tessellation. 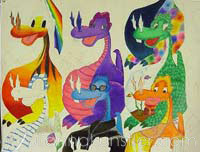 Copying someone else's is not as much fun!